It’s been three weeks since my last blog post. That’s not to say I haven’t tried—I have nine unfinished posts in my draft folder, and I’ve gone over my list of post ideas a hundred times, trying to pick one that I felt ready to write. But every time I thought I had found The One, I’d sit down to write it and all motivation would disappear. And that was if I was lucky enough to make it as far as my desk chair. Sometimes—many times—I’d make up excuses for why I couldn’t write tonight. I have to do laundry. I have to finish a project for a client. I have to wash my hair. I have to take out the trash. Pretty much anything was more appealing to me than the thought of trying to write, even though I know that’s what I’m supposed to be doing. Some would call this burnout, but I know what it really is: self-doubt. Who am I that anyone would want to read my thoughts? What do I have to say that hasn’t already been said? How can I write a post about how to make your home more sustainable when I sometimes forget my reusable shopping bags? How can I write about going on adventures when my anxiety over driving on snowy roads keeps me locked in my apartment most days? How can I write about being creative when I don’t feel creative, or write about books when I haven’t touched one in days, or write about being joyful when honestly, I’m no less moody than anyone else? I felt like a fraud and a failure and those feelings stretched far beyond my blogging habits to the point where I was doubting my ability to be a good designer, a good friend, a good wife, a good Christian, or even a good human being. And then, my gospel study carried me to the Temptation of Christ. After His baptism by John the Baptist, Christ departs alone into the wilderness to commune with His Father for forty days. We don’t know much about that period other than that He spent the time fasting and praying. At the end of it, when He is tired and hungry, the devil comes to Him and says, “If thou be the Son of God, command this stone that it be made bread” (Luke 4:3). If thou be the Son of God. Do you see what that old serpent is doing? He’s trying to cast doubt on the Savior’s divine identity. Remember that at this point in Christ’s story, He hadn’t yet fed the multitude with a few loaves and fishes. He hadn’t turned water to wine, or healed the blind man, or raised Jairus’ daughter from the dead. If the devil could get Jesus to doubt who He was and what He was capable of, it would lead Him one step away from the Garden of Gethsemane. Do that enough times, and he could thwart the whole plan of God by preventing the Atonement, the very purpose of Christ’s mortal mission. The Temptation in the Wilderness by Briton Rivière. Public domain. Thankfully, Christ didn’t succumb to the devil’s plan. He rebuffed Satan’s temptations three times and succeeded in casting him out of His presence. Three years later, He performed the great Atoning act on behalf of every man, woman, and child who has ever and will ever live. We, too, have divine missions to fulfill in this life—things that may seem small compared to the Savior’s suffering in Gethsemane, but are nevertheless important for the fulfillment of God’s plan—and the adversary works hard to thwart those individual destinies with the same self-doubt. He tries to convince us that we are nobody. That we aren’t good enough. That we’re frauds and failures. If you are a photographer, why haven’t you been featured in National Geographic? If you have any friends, why didn’t you get more likes on your last Facebook post? If you are a good mom, why did you yell at your kids this morning? If God loves you, why hasn’t He answered your prayers yet? Sowing seeds of doubt is the devil’s favorite tool. Why expend the energy to build up external obstacles to your enemy’s victory when you can cause enough self-doubt that they don’t even bother trying? Who Art Thou? For Behold, I am a Son of God. In the Book of Moses, we read about one of the most transcendent experiences ever experienced by a mortal human. Moses is taken to the top of “an exceedingly high mountain” (Moses 1:1), where God tells him, “I have a work for thee, Moses, my son; and thou art in the similitude of mine Only Begotten” (Moses 1: 6). He is then taught about the Savior Jesus Christ and shown the world from the beginning of time until the end. Moses is so overcome by this vision that it takes several hours for him to fully recover. Satan wanted Moses to feel like a nobody. He was just a man, and Moses himself had just said, “Now, for this cause I know that man is nothing” (Moses 1:10). Easy mark, right? Looking Satan up and down, Moses says, “Who art thou? For behold, I am a son of God, in the similitude of his Only Begotten; and where is thy glory, that I should worship thee?” (Moses 1:13) Moses knew who he was: a son of God with the potential to be like Christ. And how did he know this? Because God Himself had told him. God has also told us that we are His children and that we have the potential to become like His Only Begotten. Do we believe Him? Do we recognize the strength and confidence that knowledge give us? Do we rely on that confidence when the devil tries to convince us that we are nobody? You are not a nobody. You are a child of God. And it came to pass that Moses began to fear exceedingly; and as he began to fear, he saw the bitterness of hell. The adversary will pull out all the stops to get us to make a mistake. The godly sorrow we feel when we mess up is a good and righteous thing that leads to repentance and improvement, but if we’re not careful, it can easily be manipulated right back into those feelings of self-doubt the he was trying to foster in the first place. But like Jesus and Moses, we can resist the adversary’s appeals to the baser parts of our natures by trusting in the One who knows us better than anyone else: our kind and loving Heavenly Father. 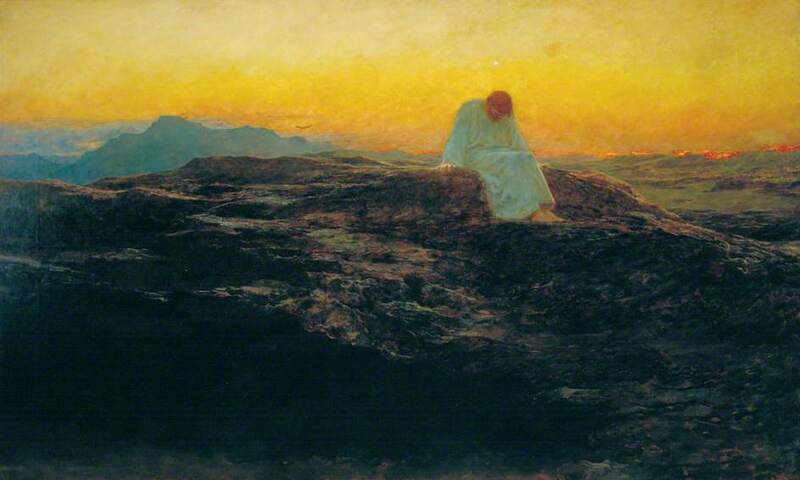 As Moses faces the unimaginable horror of the devil’s display, he prayed for and received strength by calling upon God (Moses 1: 21). Only then, by relying on the source of his confidence, was he finally able to cast Satan out of his presence. 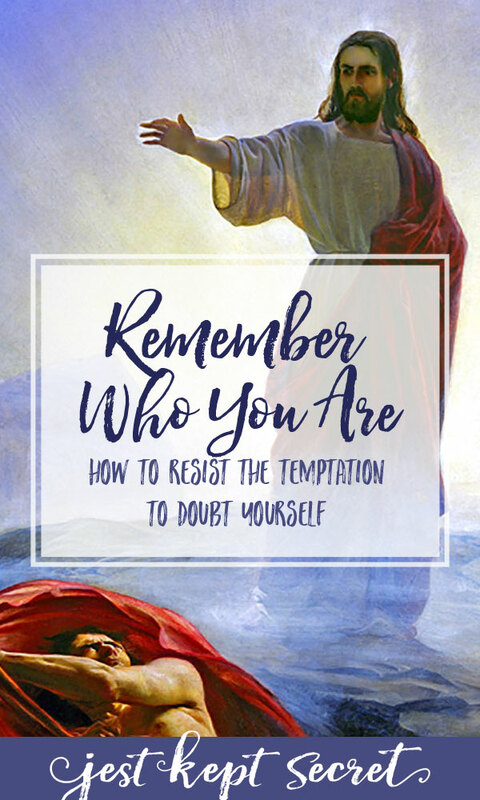 As we follow that example of trusting in God, He will also give us the strength we need to resist the adversary’s attempts to get us to doubt our own divine identity and potential. As I pondered these scriptures, I felt a gentle nudge from the Spirit telling me that this was the next post I needed to write for the blog. With renewed confidence, I sat down and opened a browser. I have an unfortunate but long-standing habit of checking Facebook before I start writing, and despite my best efforts to quit said habit, I once again found myself scrolling through my newsfeed before I started to write. And there, mixed in with all the pictures of friends’ babies and silly cat videos, was a link to a blog post by my friend Alana about—you guessed it—overcoming self-doubt. Well, shoot, I thought. I can’t write about this now. I’ll look like a copycat. And you know what? Alana’s post is fabulous. If you’re looking for more ways to help fight off the temptation to doubt yourself, here are her 3 Powerful Ways to Instantly Squash Self-Doubt. How does knowing that you’re a child of God increase your confidence and help you fight off self-doubt? I’d love to hear your stories in the comments or on Facebook! 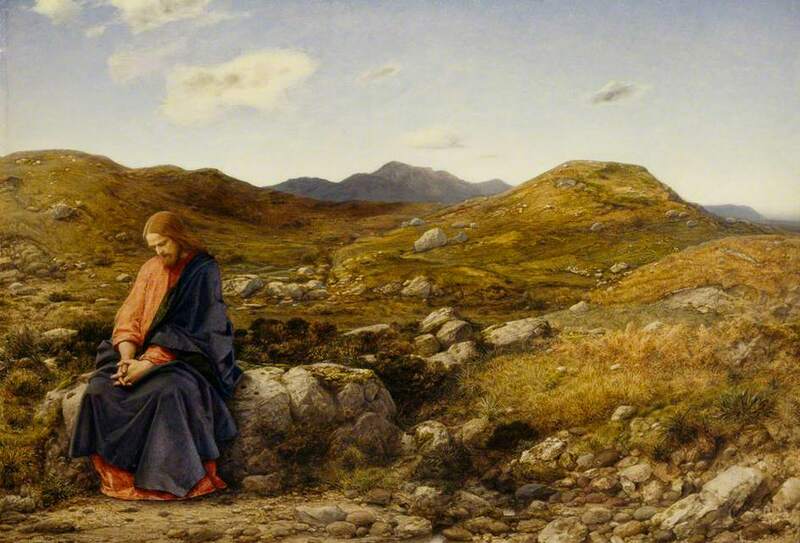 Featured Image: Man of Sorrows by William Dyce. Public Domain. Pinnable Image: Jesus Tempted by Carl Heinrich Bloch. Public Domain.